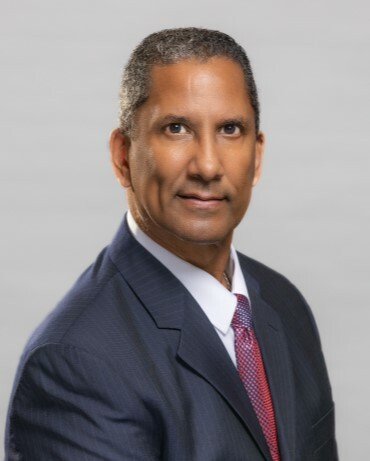 Andre L. Reed, MD joined SurgOne, PC in 2016 and has developed The Center For Voice & Swallowing Services which provides comprehensive medical care focused exclusively on voice and swallowing disorders. Andre L. Reed, MD, is a board-certified, Johns Hopkins-trained ENT specialist (Otolaryngologist) with advanced training and experience in voice and swallowing function. He also spent two years researching voice function and head and neck cancer at the National Institutes of Health. He was fellowship-trained in Neurolaryngology at Johns Hopkins and is among very few surgeons with the subspecialty of Neurolaryngologists in the United States. Today, he regularly treats a wide range of physicians, their family members and their patients. Dr. Reed was drawn to subspecialty voice and swallowing medicine because of a personal experience with larynx injury and loss of voice. Today, caring for laryngeal dysfunction remains a personal endeavor, one that he pursues with dedication and heartfelt understanding and compassion. In addition to being a highly trained, uniquely capable medical specialist, Dr. Reed loves his work and brings a high sense of ethics, honesty and obligation to every patient in his care.